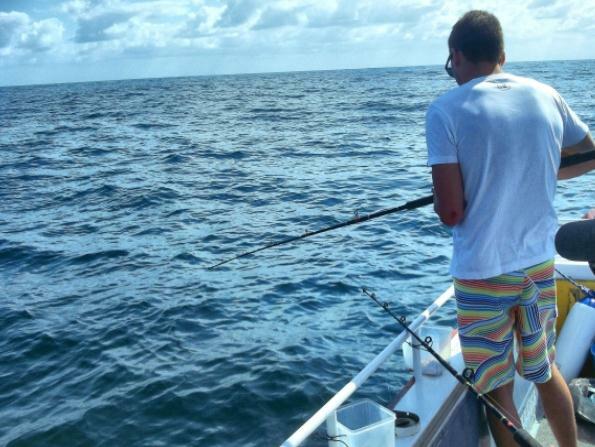 Deep End Fishing Charters for a great day’s fishing in Port Macquarie. Fish aboard our fully equipped and stable 32 ft twin-hull, twin-engine fishing vessel. 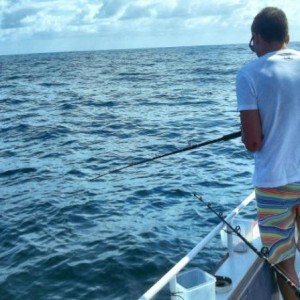 Take a full-dayDeep Sea & Reef Fishing or select a River to Reef Fishing half-day trip. You’ll have fun targeting a variety of fish species for ‘catch & return” and to take home for your supper. Customised tours for fishing groups & individuals carrying a maximum of 6 for your fishing comfort. 15% discount for a group booking of six. Passengers will enjoy personalised customer service with experienced skipper & crew. They know their fish & where to find them. All skill levels catered for; quality fishing gear; Licences, instruction, refreshments and fish bagged & iced. & relaxing tour or an extremely exciting deep sea fishing trip. retail outlets & a cafe’. Enjoy some real fishing therapy – you know you deserve it.